Tom Holland's scene-stealing cameo as Spider-Man in Captain America: Civil War reinvigorated Spidey's silver screen persona in the wake of the middling The Amazing Spider-Man 2. Most importantly, it brought Peter Parker into the Marvel Cinematic Universe as part of a deal between Disney and Sony. 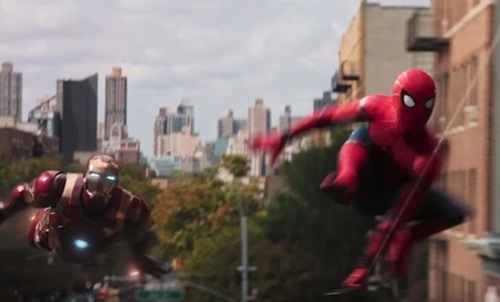 Next summer the rebooted Spider-Man franchise debuts, in theatres, with Spider-Man ignoring Tony Stark (Robert Downey Jr.) when he goes into battle with Michael Keaton's Vulture. Marvel Studios released an official trailer for the upcoming Spider-Man: Homecoming movie during Jimmy Kimmel Live! It appears a stale origin story has been ditched in favour of dropping the teenaged webslinger directly into action in his quest to become a member of the Avengers. Excited for Spider-Man: Homecoming? Let me know in the comments below.